*Thank you to Teamson for sponsoring today’s post. All reviews and opinions are 100% my own. There’s nothing quite like the imagination of a child. Imaginary play is the pillar of learning. As a child, I played all kinds of imaginative games with my sisters. Play was the foundation of our relationships, how we worked through conflicts, and how we expressed ourselves creatively. My daughter is three years old, and she has recently shown a huge interest in imaginary play. I’ll hear her from across the room making up elaborate stories between her dolls, or “pretending” to serve some spaghetti to her dad. It’s adorable to see her leaping into this new and exciting phase of development! Play can be such a rich experience for children! 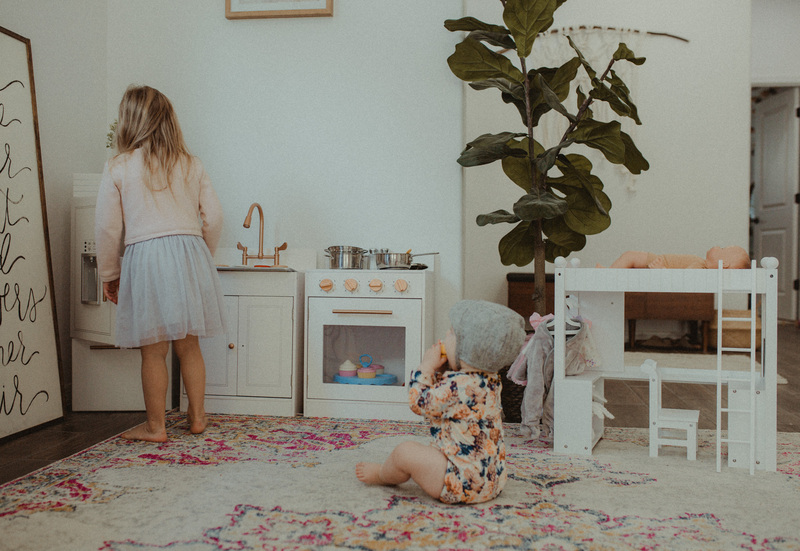 Today, I’ve partnered with Teamson to share the benefits of play, and a few of our favorite Teamson products that will live in our home for years to come. The Teamson family of brands includes several products that inspire imaginary play. When I started teaching Kindergarten, a few years ago, I got a glimpse into the wonderful imagination of a child when my students would play together during our “center time”. One of their favorite stations to visit was the “dramatic play” area. It was full of toys that foster creativity. We had a play kitchen with play food, pots and pans, and some baby dolls. They would play “family” or “house”, and stage all sorts of “problems” through their play. To the average person, it may look simple and sort of surface-level, but if you sit and really listen to what’s going on, you’ll hear a child recall their math lesson by naming a shape when he asks for the “round plate that looks like a circle” or recall their color names when they ask for “the baby doll’s blue nightgown”. Listening to children play is one of my favorite things. Play is an extremely easy and natural way to integrate new vocabulary. When I was teaching, we would use themed units. This allowed us to take a holistic approach to teaching, which is proven to foster better learning in the classroom. We would hang a new sign each month with words on it next to the dramatic play area. Children would use those words in their elaborate pretend stories of “little brother who fell ill” and needs a check-up. Vocabulary isn’t the only thing that gets lots of focus during play though. There are so many opportunities for children to learn from one another in the classroom. Play fosters this in such a natural way. For example, a child who is great at spelling may want to create a menu for their pretend restaurant. Their peer may not like spelling, but because they’re working together at a communal cause, he may enjoy it and even learn how to spell one of their words for the week! All because they played pretend restaurant together. Just like socialization through play in the classroom is happening, the same thing happens at home between siblings! Like I mentioned, my sisters and I grew up playing with one another. All four of us had very different personalities, but it worked. We learned from each other, and sometimes we had disagreements. Conflict resolution is an extremely vital skill both in school and in the real world. Imaginative play allows for this opportunity of conflict to arise. For example, children then have to learn how to share, what to do when they don’t want to share, and how to solve the problem so that sharing isn’t an issue next time. 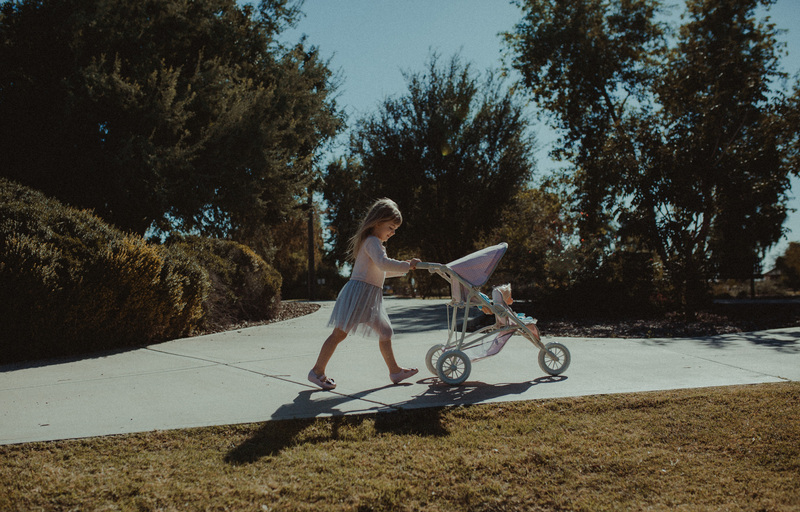 Gracie is using the Olivia’s Little World Polka Dot Princess Baby Doll Jogging Stroller in the photo above. 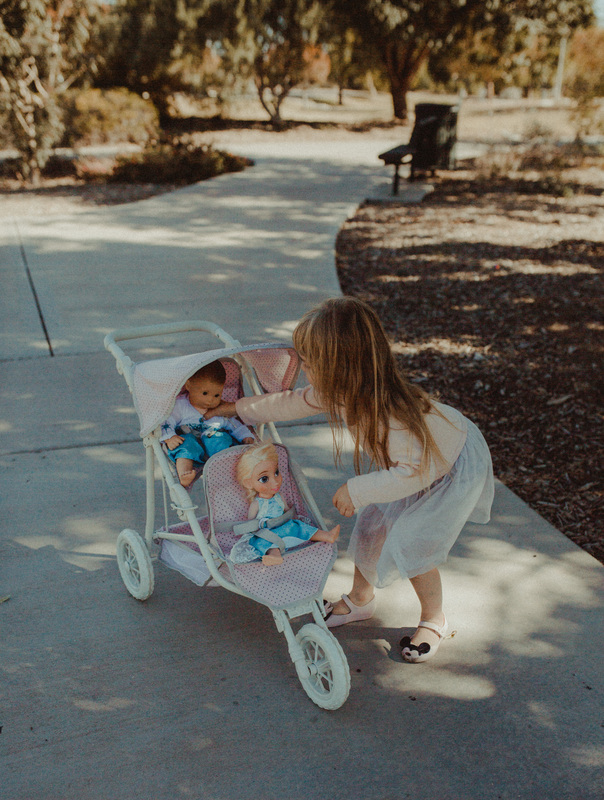 If you scroll a bit, you can see in the photos at the bottom of this post, Gracie bends down and asks her baby dolls if they’re okay. She asked if they were hungry! I laughed so hard, but she treats them the way we do Norah. She talks to her dolls the way we talk to Norah. 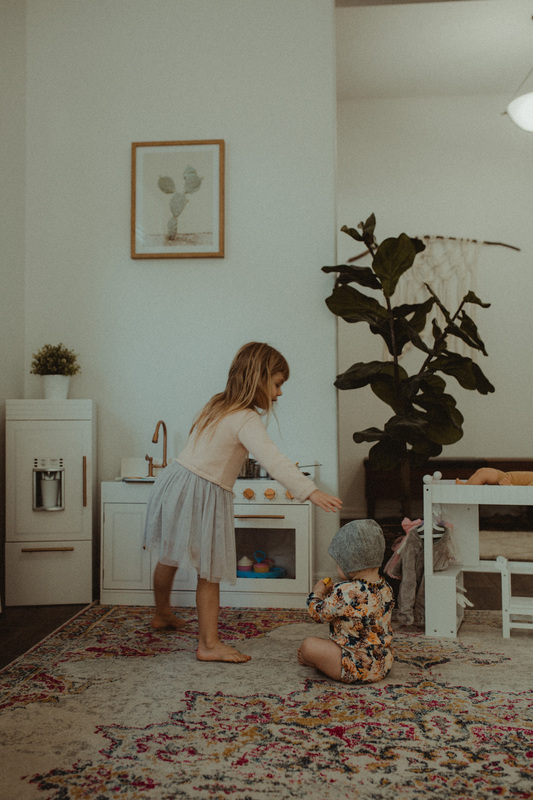 By playing with her dolls and their accessories, she’s mirroring our affectionate behaviors, which hopefully will translate into adulthood too! 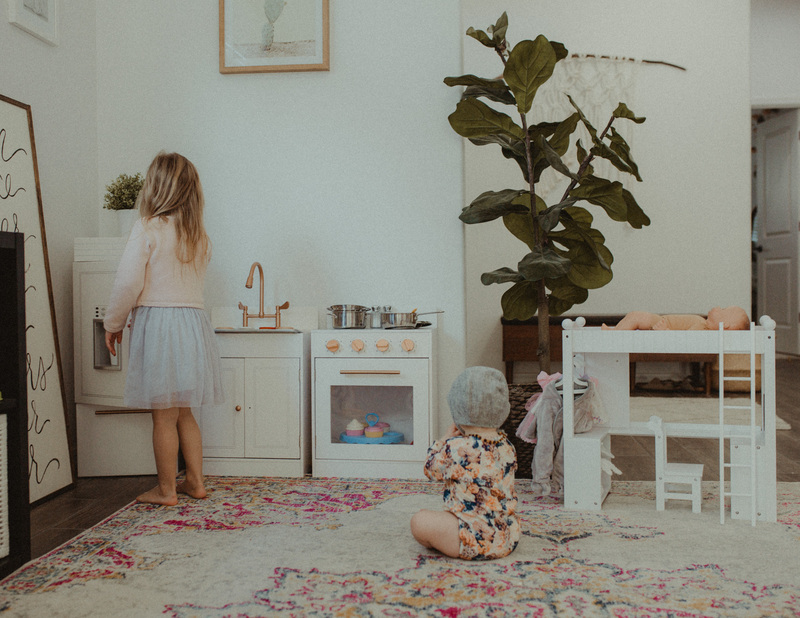 I think the play kitchen is such a playroom staple. It allows for open-ended play. It can be a restaurant, or a family kitchen. It can be where the pretend parent cooks and feeds the pretend baby doll her breakfast, or an ice cream shop! The possibilities are endless, which means the imaginary play is endless too! Gracie is playing with another item from one of the Teamson brands. Teamson Kids Little Chef Paris Modern Play Kitchen. I love that it’s three separate units that can be rearranged to fit any space. She’s also a huge fan of the pretend ice maker. 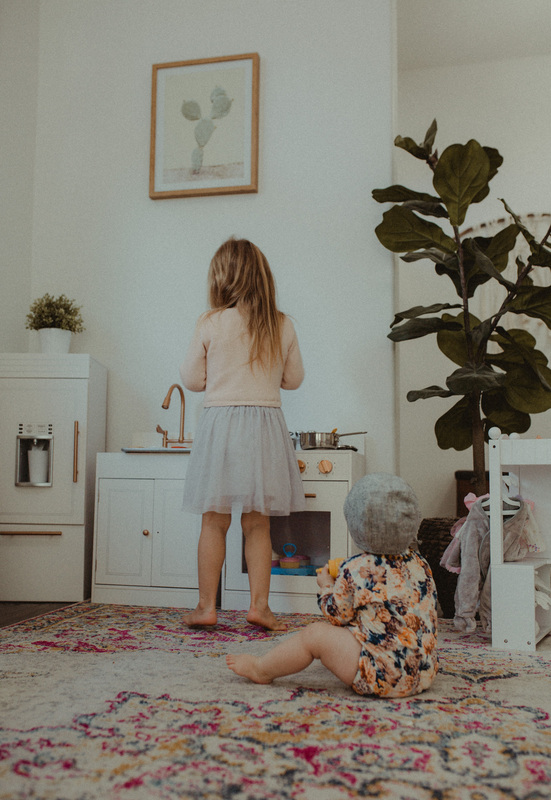 My husband and I use the ice maker on our real fridge every morning to make our iced lattes, and she likes to pretend to make one too 😉 Teamson Kids has so many great options for Play Kitchens , so you can find the one that fits both their interests and your style (a design you can live with looking at each day!). This Teamson Kids Little Chef Fairfield Retro Play Kitchen is similar to the one we have, and so adorable. 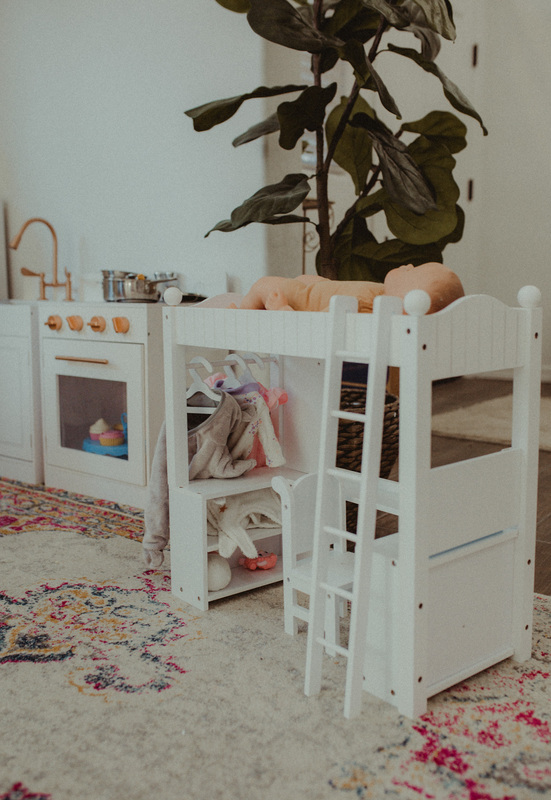 Something else that I find to be essential in a playroom is dolls, and doll furniture. Both boys and girls benefit from learning how to care for and nurture little babies. Because at some point or another they’ll encounter a baby! Whether is a new sibling, a cousin, or a friend, babies are everywhere! Plus, having a doll to care for teaches responsibility! Last year, when I found out I was pregnant with my now eight-month-old, Norah, I bought Grace a 16-inch baby doll. I was super excited to snag some furniture for her baby doll this year. She has the Double Bunk Desk from Olivia’s Little World, and it’s her favorite thing. She takes all of her baby doll’s clothes and organizes them just like me. Gracie hangs the clothes on the hanger while pretending to do laundry. Basically, any toy that allows Grace to feel like a little caregiver herself is a winner! 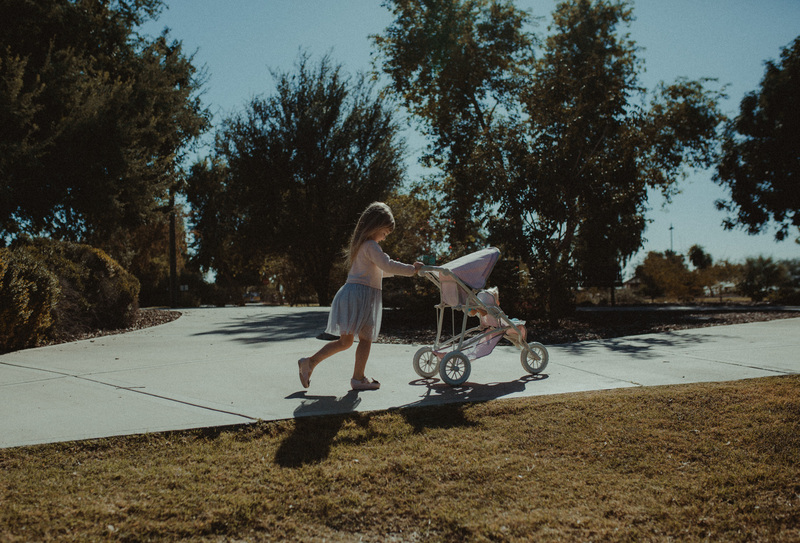 The Teamson family of brands, including Teamson Kids and Olivia’s Little World, as well as Fantasy Fields and Versanora, offer a range of quality items for you and your family. Right now they are running a holiday sale with items marked down anywhere from 15-50% off! PLUS! DISCOUNT ALERT: Use the code TeamsonLIC20 for 20% off anything at Teamson.com until Dec. 14th on top of holiday price discounts on all Teamson brands! 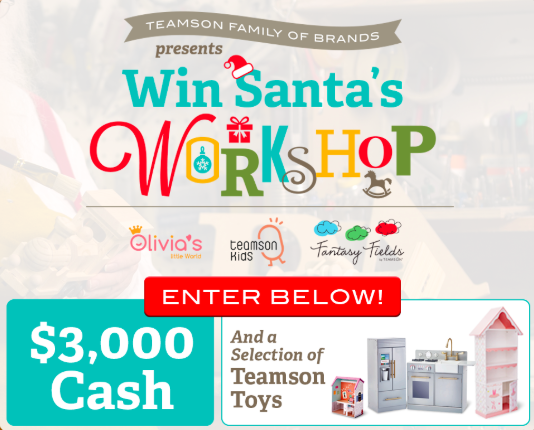 Win the Workshop sweepstakes alert! Want to win $3000 cash and $750 in Teamson® products? Enter their sweepstakes here. 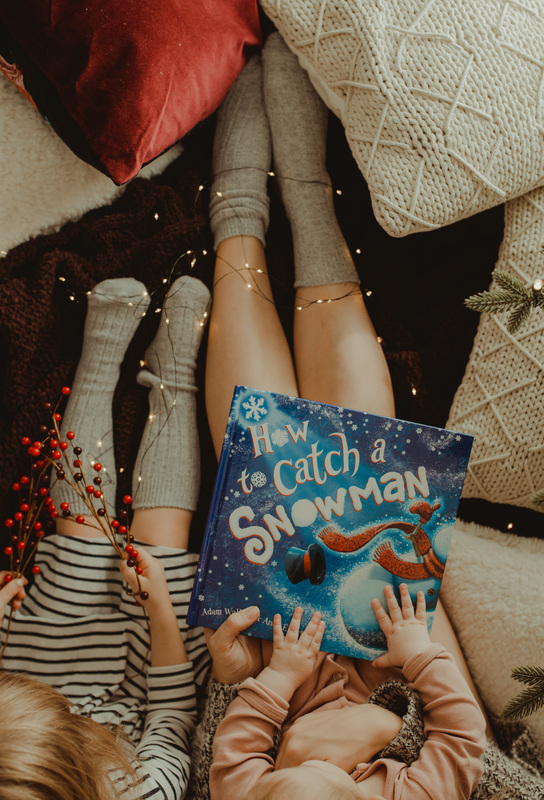 I hope this post about the benefits of imaginary play was helpful to you! Thank you so much for reading!